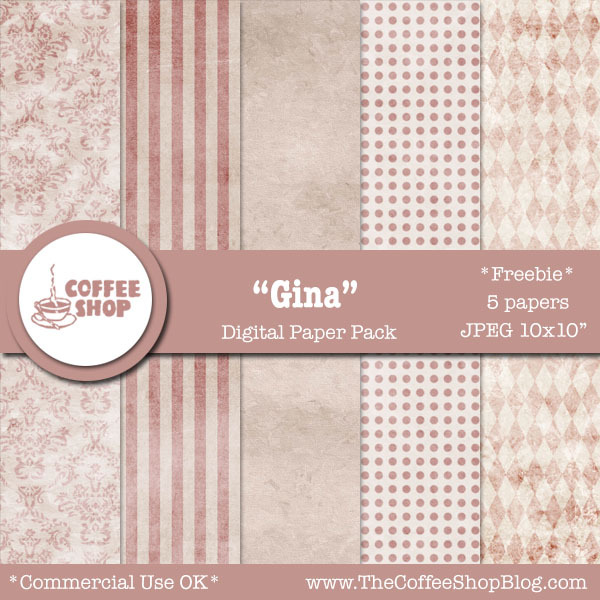 The CoffeeShop Blog: CoffeeShop "Gina" Digital Vintage Paper Pack! CoffeeShop "Gina" Digital Vintage Paper Pack! Today I have a new digital paper pack called "Gina". This is a distressed paper set that would look lovely feminine designs. Check out all of my digital paper here! Download the CoffeeShop "Gina" Digital Paper Pack. You can also download it here. You are so welcome Stella!